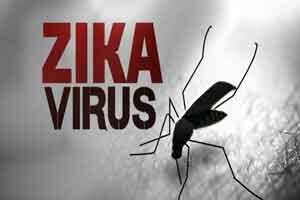 Brasilia: Brazilian researchers found traces of Zika virus in the saliva and urine of patients with symptoms of the disease, which means the virus is potentially transmissible via the two fluids, the media reported on Saturday. The announcement was made on Friday by Paulo Gavel, president of Brazil`s world-renowned public health research institution Ossa Crud Foundation (Fisc), Xinhua news agency reported. “The meaning of this discovery still must be clarified,” he said. After the warning, Brazil`s health ministry updated its recommendations, adding that people should not share objects of personal use such as toothbrushes and glasses and should wash their hands frequently. The ministry also warned that the possibility of transmission through fluids does not mean that the efforts to control the proliferation of the Aedes aegypti mosquito, which transmits not only zika but also chikungunya fever and dengue, should be in any way reduced.